Plants and Animals will be taking over in the National Capital Region this weekend, playing back to back shows in Ottawa and Wakefield. Couch Assassin's own Julie Cormier-Doiron recently spoke to drummer/vocalist Matthew "Woody" Woodley about the band's upcoming shows and what 2013 has in store for Plants and Animals. Montreal’s beloved indie rockers are no strangers to Ottawa. Last year, they played at Ritual Nightclub and at the RBC Royal Bank Ottawa Bluesfest. "Ottawa is great; we always like to play [here]," said Woodley. He then shared his fondness for the renowned venue in Wakefield. "I love the Black Sheep Inn," he added. "It’s honestly one of my favourite places to play." 2012 was a huge year for the band. They released their third LP "The End of That" in February. When asked how the new record is different from the first two LP's, Woodley shared one major difference. "We tend to write in the studio a lot. And with [this album], we didn’t so much. We wrote a lot at home and then went into the studio with the goal to bang it out over two weeks. So the process was different, and I think for better and for worse, we’re not going to do it that way again... The shortage of time puts too much pressure on getting things right. I think we’re meant to work slowly and to plug away at things, and put together the puzzle slowly rather than write out a blueprint and assemble." To support "The End of That", the band toured for the better part of 2012, all across North America and hitting a few spots in Europe. "Everything is blurred together in a sense," Woodley explained. "I feel like the highlight is the entirety of it all." Last summer, they played a few music festivals, including Bluesfest and Osheaga. Woodley said that the group will likely play some festivals this upcoming summer but nothing is confirmed as of yet. Woodley feels that playing big outdoor festivals can be quite different from playing the more intimate shows: "[People] are there for the experience. You have to project a different energy from the stage. It’s not as easy as the intimate stuff. I wouldn’t want to play outdoor festivals all year round but it’s like having a summer picnic. The variety [of shows] is great." This spring will be an exciting time for the band; "The End of That" will be officially released in France this April. This is a big deal for the band, especially since the album was recorded in France, outside of Paris. "It sorta feels like a homecoming in a weird way, even though it’s very far from home," shared Woodley. The band will play a few shows in France, then return to Canadian soil. Upon their return from France, the group will play small regions around Quebec, which, according to Woodley, is a long time coming. "We’ve taken a long time to branch out into the regions of Quebec and connect with the francophone world, in a way that we have in the English speaking world, which is too bad... but now it’s great." According to Woodley, this is especially important since the band is one third francophone and they live in Quebec. So will 2013 be as hectic for Plants and Animals as 2012 was? Woodley doesn't think so. "I think it’s going to be a quieter year in a sense, because we’re going back into creation mode," he explained. "We’ll certainly be playing but it’s not going to be intense touring the way it was in 2012. Our focus will be more on writing and recording than touring, for sure." However, don’t expect to hear new material at their upcoming shows. "Nothing from record #4 is at the stage where we’re ready to play it live," added Woodley. Having been together for over ten years, it's almost impossible to think of a time where Plants and Animals wasn't on our radar. But did the band members always see themselves have a successful career in music? Not quite. "I originally didn’t ever see myself make a living playing music," said Woodley. "I thought I was going to pursue other things and play the weird music that I liked and just do it as a very serious and passionate hobby... All of a sudden, there was this shift and we all decided to try and give it a go as a band in the world. And here we are." So what should we expect from Plants and Animals in another ten years? Woodley isn't quite sure. "I hope we’re playing together, but I don’t know if we’re going to spend as much time trucking around the country in a van as we do now." If that's the case, then we should all take advantage of their current touring schedule. 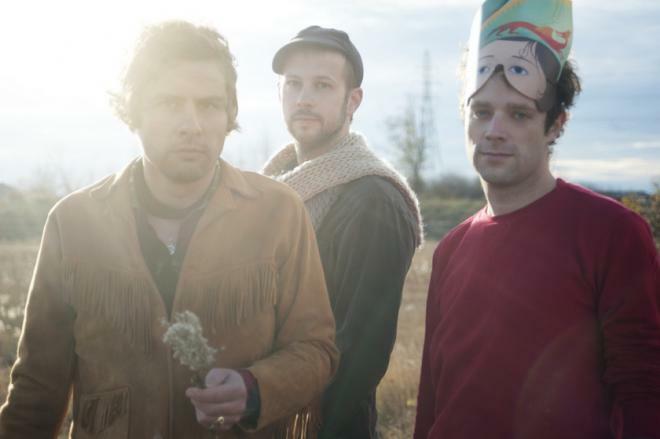 Be sure to catch Plants and Animals at their upcoming shows in Wakefield and Ottawa.